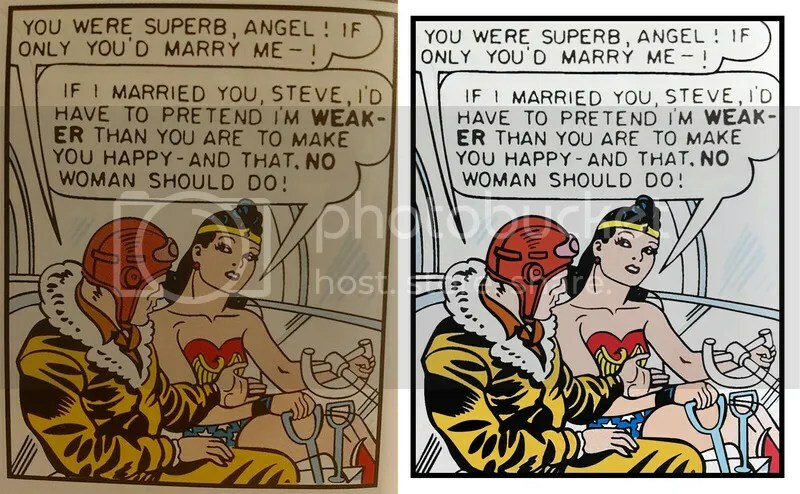 A panel from an old and very clever Wonder Woman comic (presumably from the 1940s) photoshopped. I used auto color and brightness to take out the yellowing. Then I used transform> rotate and then warp to make it “square” again. I took the pen tool and isolated chunks of the image and paint bucketed and brushed the old color back in.